Market Value is the value based on an appraisal of the home installed on a leased space, or on land owned. This appraisal will list comparable homes, hopefully in the same park, that have sold in the last 3 to 6 months. NADA (National Automobile Dealers Association) has a guide "blue book" you can purchase from them that lists the value of the price of the a manufactured and mobile home. This guide covers mobile homes built from 1970 to 2011, and adjusts for depreciation and condition. Used mobile home values can vary from literally $0.00 (pay to haul it away to the dump) to well over $1,000,000.00. 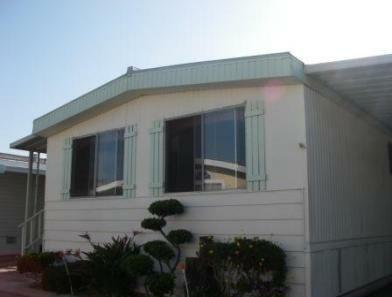 There are some mobile homes going for over $2,000,000.00 in Malibu and Pacific Palisades, CA. Obviously these are the extremes. So mostly you will find used mobile home prices located in a park (leased space) for $20,000 to $100,000 across the country. In some areas, such as much of California, used mobile home values are above $50,000, and most properties near the coast are well over $100,000. For more information about your area we recommend contacting a Real Estate Agent that lists and sells Mobile and Manufactured Homes regularly. A list of them can be found by going to our Agent page. When it comes to an installed home on private land or in a nice park, the location is the biggest factor (the Real Estate market in general), then is the size, age, then condition. 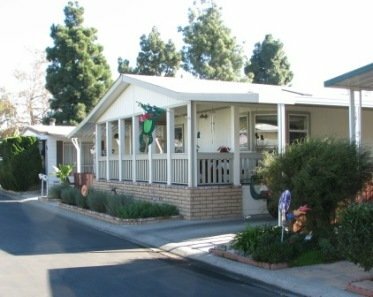 You can easily find two very similar homes in terms of age, size, and condition - but in different Mobile Home Parks - with values that are $100,000 or more different. Most of the time this is unexplainable. Used mobile home values will be less if the home is not installed on land or on a space. A newer home will depreciate like a car, losing half it's value in the first two to three years based on just the value of the unit. However, if installed in a nice location (on private land or in a nice park) then the market value will go up and down like other Real Estate. Here is an example of a newer home vs. an older home price: 1973 double wide in a nice family park might fetch $120,000 in Carpinteria, near the beach in California. In the same park a newer home of the same size will go for $250,000 or more. Something to keep in mind: a mobile home will be worth significantly more when it is properly installed on a space rather than disassembled. The market value of a mobile home is found by comparing like-kind (comparable) homes that have sold in the last 3 to 6 months within a certain distance from the home being appraised. The appraiser considers: time, condition, number of bedrooms and bathrooms, size, and of course location of each property. He will then come up with a value adjusting up and down for each factor. In this way, used Mobile Home values are determined using actual closed sales as comparables. A market value is not the same as exactly what the home WILL sell for, but rather an approximate sales price. Quite a few homeowners see their appraisal and get upset at the low value. Getting financing for your Manufactured or Mobile Home will require an appraisal, and it may even require a home inpsection too. An appraisal of the home will get you the best idea of what your home is actually worth. For our appraiser page, click here. The NADA guide will give you a value just based on the year, make, model, size, and condition of your home...that's it. Some lenders will just go off of this to come up with a maximum amount to lend on, but most will want a market value based on an appraisal.